Be honest, who really likes interviewing (or being interviewed for that matter) it can be very tiring for all concerned and is often not productive. The hit rate for successful interviews (folks staying beyond their probation) is a worryingly low 56%. We make decisions in interviews too quickly (deciding if we like people in the first 3 minutes) and often for all the wrong reasons because we are human. There are lots of simple things you can do to add to the interview process so you are not over reliant on it. Here are some top tips taking in the main areas of concern in the hiring process. Draw up a person specification to include ideal skills and desired behaviours. Consider whether this person is already working for you or for a competitor, a parallel sector – or event a client. Check if any existing team members know anyone – create a referral system that rewards new recruits. Ask customers who is good amongst your competitors. Ask your suppliers who they might know who could fill the role. Advertise for positions via websites. Only consider trade magazines (not newspapers) where appropriate. Consider former employees who might have grown into the role that you are looking for. Don’t spend too long reading them but do look for clear evidence of achievement. Also look for as much variety of experience as possible (these days employees are more valuable if they have worked in several different roles or organisations). Don’t waste time seeing people whose CVs don’t match your profile. How can you evaluate them? Remember that interviews are one dimensional and you need other information. Psychometric testing can help with developing questions to ask. Try role play, accompanied tours by junior members of staff, feedback from their peers, seeing them socially or anything that will allow you to see how they interact with others. Always interview with another person. Alternate questions between you so that you both have to listen and ask questions. Decide ahead of time what you will be asking (be consistent). Interviewers should talk for no more than 20% of the time. Keep the interview to no more than 40 minutes. Consider telephone interviews as a means of screening a larger number of candidates but keep these to 15 minutes. Try and see everyone on the same day. Be conscious of halo and horns effect. Always follow up references – preferably by telephone. Have an induction programme ready for the member of staff when they arrive covering at least the first 2 weeks. Have a buddy assigned to them for when they join. Make sure you are clear what their performance will be judged against. Review their progress regularly – but certainly within the first 6/8 weeks. Peter Hills, Chairman of Academy Group 18 joined The Academy for Chief Executives in 2000. He’s also the co-founder of Untapped Potential, specialising in coaching & mentoring as well as helping with senior team development, culture change , and a dynamic and different approach to recruitment that he has invented and developed over 15 years. This ground-breaking approach is very much in line with the new thinking that the Academy for Chief Executives encourages. Peter was previously Chief Executive of Manchester Business Link and has held several senior positions with major brewing organisations. His expertise lies principally in sales and marketing, and human development. Peter’s values are honesty and integrity, coupled with a talent for getting the best out of others. He is extremely energetic, has passionate views, and is the epitome of the power of positive thinking. Academy Group 18 started in 2000 and is one of the longest standing and most successful Academy groups. The group is currently full, with a small waiting list to join. The group is an incredibly varied mixture of CEOs of large corporates, owner managers of small independents, family businesses and even public sector organisations. Innovation and creativity, good-humour and helpfulness whilst being challenging and practical, and, above all, extremely high energy levels; these are the qualities that Peter associates with his group members. While under Peter’s chairmanship this group has achieved some dazzling success in business, and overall there have been many life changing moments for group members. One member entered the group as a successful corporate MD, decided on a life change and with help and support from the group set up his own company achieving a £20 million turnover in just two years. Other members have had equally stunning successes in top team development, developing new customer offers, growing the business, and achieving good work/life balance. Member companies currently range in size from £350,000 turnover with eight staff to £220 million with 2000 staff. 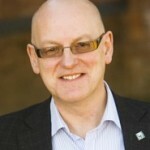 Peter Hills can be contacted on 0845 118 1028, or visit www.chiefexecutive.com for more information.